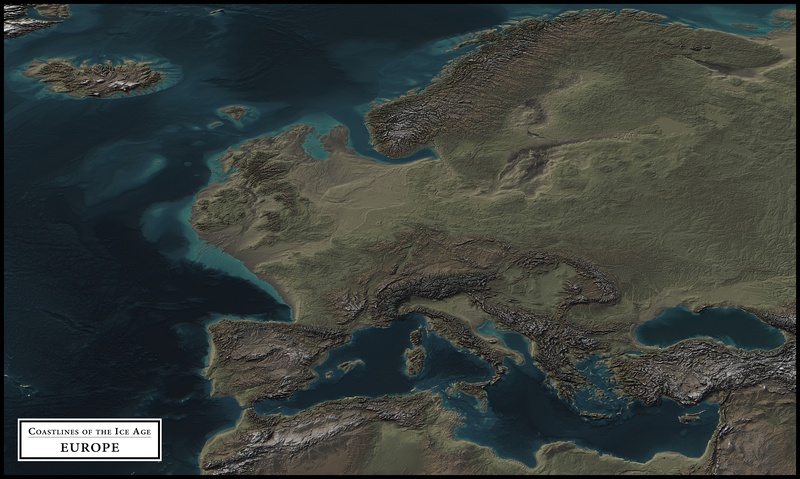 This map shows how the terrain may have appeared during the Last Glacial Maximum, around 21,000 years ago, when sea levels were approximately 125 meters (410 feet) below present. This map does not include any lakes of this time period, besides the Sea of Marmara and the Black Sea which are shown here at -125m. The colouring of the map is based on height, and is not meant to represent the climate or vegetation. 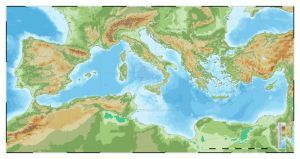 This map also does not account for any geological or tectonic changes in the landscape since this time period, as the map was made using a modern terrain map with a lowered sea level to simulate an approximate representation of the ice age coastlines. Cheers for this! I know of the Blue Marble programme, but what is the map resource used? I need to do some maps for a uni project. You help would be most appreciated. If I use your map... I will credit you. I didn't use any map resource like that, I made these maps myself. The bathymetry data for this one comes from EMODnet. Thanks...that helps a lot! Cheerss... your maps are great. I'm getting a 404 when I hit the download link, do you have this in a bigger resolution? Nice work , what programs do you use for your map making? Thanks! I use Global Mapper and Photoshop. Is it possbible to use your map as graphic following ice age information in museum exhibition? I've been looking for a map like this for ages. This is fantastic, I could look at it for hours! You make such beautiful maps!